Most consultants have to file quarterly tax estimates. Consultant taxes can be more complicated than taxes you may have paid as an employee, but in some cases you can actually end up owing less in total tax. If you're working as a consultant, you'll usually be classified as an independent contractor, which means you won't have taxes deducted from your compensation and will have to pay them yourself. You'll usually receive a 1099 tax form at the end of the year from each of your clients, and you'll likely want to keep track of your expenses to potentially deduct them from your taxes. If you work as a traditional employee for a company, the company is normally required to withhold income taxes from your paychecks, as well as Social Security and Medicare tax. 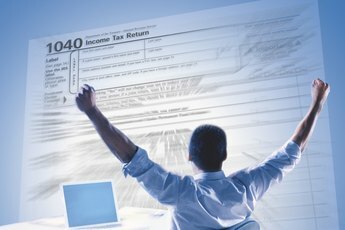 After the end of the tax year, you then receive a W-2 form which spells out your earnings and withholdings, and you can use this to file your taxes with the IRS. If you're an independent contractor, as consultants are usually considered, your clients typically will not withhold taxes from your pay. That means that you need to make sure to set aside enough money to pay your taxes when they come due, including the portion of Social Security and Medicare tax that an employer usually pays on an employee's behalf. That tax is sometimes referred to as self-employment tax, and a variety of self-employment tax calculator tools online or an accountant or tax lawyer can help you estimate what you'll owe so you don't experience any surprises. Any client from whom you receive at least $600 in compensation is generally required to send you a 1099-MISC tax form early in the year saying how much you were paid, though you will still owe tax on any compensation you earned even if you don't get the form. It's a good idea to compare the numbers on your 1099 forms against your own records and contact your clients if the numbers don't match what you think you were paid. Once you get these forms, you can use the IRS's 1040 form or an online tax tool to figure out and file your taxes. Use Schedule C, part of the 1040, to compute your business income or loss. You may be eligible for a variety of deductions for business expenses, including compensation to any employees you have, the cost of operating a home or remote office and business needs like office supplies, mailing expenses and some costs relating to business travel. Save receipts for business expenses during the year so you're ready to claim any deductions and verify them to the IRS if needed. To minimize your tax bill without running the risk of a penalty from the IRS, make sure you understand what are sometimes called 1099 independent contractor deductions. One important factor to keep in mind is that you may be required to pay estimated taxes throughout the year if you do not have withholding from an employer to cover your tax bill. 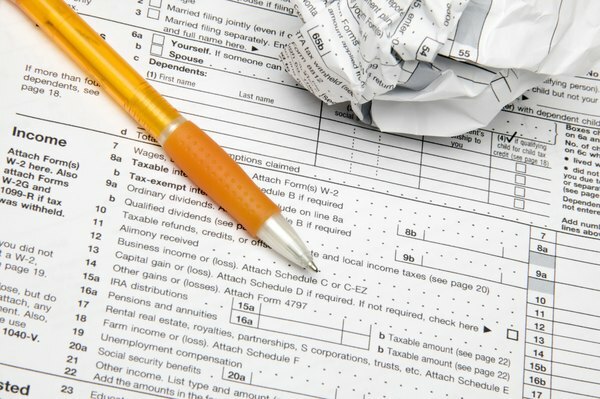 Generally, you will make four tax payments throughout the year to cover your tax bill. The IRS provides worksheets you can use to determine how much to pay. If you don't pay enough estimated tax, you may owe a penalty or interest to the IRS. If you live in a state with income tax, you may also need to make estimated tax payments there. You may also owe additional state or local taxes based on being self-employed, since you can be liable for taxes normally paid by employers. For example, if you live in the New York City area, you may be required to pay the metropolitan commuter transportation mobility tax. Check with your state and local tax authorities or consult an accountant or tax lawyer to make sure you understand what independent contractor taxes apply in your area. There are some changes to independent contractor taxes that go into effect with the 2018 tax year. A new 20 percent deduction goes into effect for what are called pass-through businesses, which include the incorporated sole proprietorships that exist when you don't incorporate your business. If your qualified business income is $157,000 or less if you're single or $315,000 or less if you're married and filing jointly, you can generally deduct 20 percent of it. If you make more, the deduction depends on whether you have employees, what type of business you have and other factors. The rates at which you can deduct the use of your vehicle for business travel are also increasing from 53.5 cents per mile to 54.5 cents per mile. For 2017 and earlier tax years, the pass-through business deduction doesn't apply, though many business-expense deductions are still available. You can also deduct business vehicle use at 53.5 cents per mile in tax year 2017. 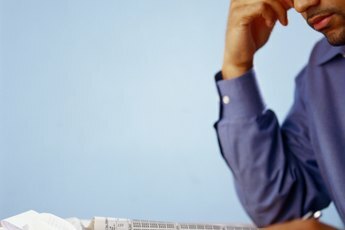 CalcXML: How Much Self-Employment Tax Will I Pay? Can I Still Collect Unemployment Benefits If I Got Money Back on My Tax Return?